You are a Pokémon Trainer, or perhaps a Coordinator, or even a Pokémon Ranger. Whatever you are, you share every young person’s dream -- to travel the world with your own Pokémon and excel in whatever you put your heart to. People, as young as the age of ten, leave home and begin their Pokémon journey, as you have. This is a world of unending opportunities, but there are those who wish for that to change. Team Trance is a team that speaks peace – they want the injustice and animosity of the world to end, and strive to find a way to that goal. So far they have one goal: to summon and take control of the Legendary Pokémon Darkrai and use it to visit peace upon the world with its Nightmare abilities. - There is an age minimum of ten, except for special situations. Talk to me if you want to have someone younger. - There is a limit to three Pokémon Rangers! Pokémon Rangers are rather rare. Also, each person can only have one Pokémon Ranger at a time. If we get a lot of people I might add more slots. - There is no limit to Trainers or Coordinators, nor Team Trance. - If you want to change the plot/have an idea, PM me about it before doing anything please! - Absolutely no Power Play or Godmodding! Specifics will be discussed below. - Battles will be won on a number-pick basis. This involves the people battling and a referee. The referee will choose a number between one and 100, and the battlers will guess what that number is. The battler to choose closest to the number will win the battle. Similarly, Pokémon faint when the controller says they do, but are not invincible. If you think someone’s Pokémon should have fainted when it didn’t, feel free to say so politely. - No trainer can have a legendary/fakemon, and shinies are limited to one per person, not trainer. So if you control three characters, only one of them may have a shiny. - Pokémon and their Trainers can die, but only at the discretion of the controller. Pokémon might die from being poisoned, or from a particularly nasty battle, or perhaps from moves like self destruct. Pokémon Centers operate more like hospitals in that they do not have instant healing for intense battles. However, most battles are not so vicious, and Pokémon can usually be healed by placing them in the machine thingy. Pokémon Centers also treat Trainers. For a “battle template,” look at the Pokémon anime and see how they fight. - This RP is going to involve more creativity in that if you want to, you can include a picture after every few posts. This is mainly by request of the artists, but it does not have to be for every Roleplayer and you can skip it if you wish to. - The RP is based mostly in Sinnoh because that is where Darkrai is located. We will only be visiting Kanto, Johto, Hoenn, and Sinnoh, because Unova is too far away. - At the beginning of each character, state their location. Most people just call her Kho. First Pokémon: Her Zubat ZuZu obviously. I mean she is only five silly. Kho met ZuZu when she was playing in the tall grass, ZuZu was badly injured. So Kho ran home with the Zubat in her tiny, precious, arms and asked her mother if the pokemon could be healed up. Khos mother agreed. When ZuZu was all better, she decided to just stay with Kho. Personality: Kho is a rather... Strange child. She's eerie, smiling more than 60% of the time. She sometimes laughs for no reason, and when somebody she deeply dislikes looks away.... The smile turns into an icy death glare. She is inseparable from her Zubat, ZuZu, and also from her sister Kainda. She enjoys creeping people out, a lot. Also, Kho enjoys singing spontaneously and extremely loud at random times. She's good at acting cute and innocent, but prefers to be her good old creepy self. However, if thrown into danger she attempts to use her creepy demeanour to unnerve her attackers and also manages not to scream and freak out too much. (Even though she does a lot) She's good at keeping her head, well good for a 5 year old. History: Kho has always been a bit strange, whenever she could she would always join her sister, Kainda, on explorations of the Lost Tower, and make friends with the wild Pokemon there. She loved to go, the scarier the better! Kho always got a kick out of the creepy or weird. Ever since she was really young. None of the kids would ever play with her, but she didn't care. Kho always found it more fun to scare the crap out of them than to actually play with them. One kid tried to tease her about her name once, and the boy ran home to his mother in absolute terror! All she did was have ZuZu scare him, and then play a scary trick on him, and the others who had joined him, once or twice. The neighbourhood kids tend to ignore her now, but she decided to go and explore the region with her sister anyways. So it no longer matters. Crush: she is five years old you pervert. Other: Sometimes if she's angry her eyes change to a different colour. But not very often. (Hint: The colour is normally just there for a moment. And also most likely red) Also she likes to say "CREEPY SISTERS UNITE" if her or her sister get into a battle. First Pokémon: Absol, which appeared not long after her heart was decided on Her course of action involving She fate of humanity. Taking it as a sign that she was destined to cause great turmoil and change, She caught it with a heavy heart, but also with satisfaction in knowing she would succeed. Personality: On the outside, Jonine is a bright, cheery, and happy person. She acts politely to others, knows her way around a conversation, and doesn't outwardly portray any villainous traits. She’s even capable of romance, on rare occasion. Her one apparent fault is an obsession with She mythology of legendary Pokemon. She can spend hours and even days reading about the myths of old. In reality, her face hides a much darker one. She is disillusioned with life, though not with people. She thinks life is good only for torment and pain and desires solely to put people to "sleep" for what She believes to be their own good. Her obsession with old legends is for a goal, and that goal is finding and using She Pokemon Darkrai to stop all people in the world from waking. After that, she need only wait three days or so until they all peacefully pass on from dehydration. History: Jonine was born to the hustle, bustle, and stress of Celadon City. Her childhood was rather uneventful, save for her unusually keen mind and she fact that Pokemon never held much interest for Her. She declined accepting one at the traditional age, and stayed uninvolved with Them for several years. She noticed people around her crying, panicking, and sometimes dying, though she never saw that first hand as a girl. Dying held a special place in Her Heart. One great pain and then no more suffering ever. When she turned seventeen, things turned much darker than morbid curiosity. She met a woman outside of an apartment building while she was wandering alone one night. She was beaten up by a man as she approached, uninterested. When she finally got up to her, She man had fled, and the woman was crying hysterically. One look at her eyes, and Jonine knew that the pain she felt was too great for anyone to bear. She asked no questions, and said nothing. She was the first person to enter the endless night by Jonine's hand, and not the last. This continued for two years, until at nineteen, another revelation was had by her. "Why stop at 40, or 100, or 1,000?" She wondered. "Why not just plunge the world into peace as a whole?" An old story book legend came to Her Then, about a Pokemon named Darkrai, a deity charged with nightmares and eternal slumbers. She vowed Then to find it, and that was when Absol appeared to her. Understanding her greater destiny, she decided to work with Pokemon to reach her goals. Over time, lunatics, murderers, and unstable Trainers flocked to her ideology. More bodies meant more chance of finding the myth in real life, so she allowed them to organize under her banner. For the safety of her identity, she decided to wear a mask in public when appearing as Somnus, Her alter ego. That way nothing could be traced back to her if it were to go sour. But it wouldn't. The time of sleep is now, and she will not stop until She save She world. Crush: No one she actually has much chance to meet, though Jasmine from Olivine City has her attention. First Pokémon: (include how they met it) Larry, who was a family pet her father bought when she was a child. When her younger sister, Ritz, went out to become a trainer he wanted to send the snorunt with her, but she refused. Instead she went out one afternoon and inexplicably returned with a snover by her side. When Rume made her decision to travel as well, her father didn't take no for an answer. Personality: A no-nonsense kind of girl with a seriously chilly glare. Despite this she's a warm person at heart and assists others if she has the time and means to do so. She's a bit of a realist, and believes there's a reason for everything. History: A budding trainer who has just started out on her journey. Though Snowpoint itself has a gym, she's planned for it to be one of her last stops. She spent an ordinary childhood in Snowpoint with her family, and had little urge to go out and see the world until her younger sister embarked on a journey of her own. Crush: Candice, though there's not a soul on the planet she would admit that to. Other: Has already obtained the forest Badge from Gardenia in Eterna City, as a result she already has some experience behind her as a trainer. She's also left handed. First Pokémon: Murkrow. She found an unused pokeball on the floor of the tower one day. She used it to catch her favorite pokemon, a Murkrow that she named Murky. Personality: Kainda is usually cute and innocent, unless if you mess with her sister or either of their pokemon. She doesn't really have many human friends, not including her sister. Kainda dislikes most humans, she would rather scare them than become friends with them. Kainda will often protect her sister. She doesn’t talk much to other people. History: Kainda spends most of her time in the lost tower with her sister. Her sister and herself would see the dead pokemon and spend time with the ghosts that live in there. Her parents don’t know that they stay in the lost tower. If they found out, the Kainda would be in trouble. She visited the lost tower even before Kho was born. Crush: Do ten year olds even get crushes? First Pokémon: Cherrim, which was a Cherubi at the time. It was a gift from his mom for his 13th birthday. Personality: Kye dislikes fighting and arguing. He doesn’t care if he wins or loses. He dislikes hurting pokemon when it is not needed. Kye tries to avoid battling whenever possible, so his pokemon aren’t really strong. He talks to himself a lot. His only friends are pokemon, most people think he’s kinda weird. His favorite food is cherries. He can cook things well. History: He entered his first contest when he was 13, he lost. And after that, he kept losing. However, he doesn’t get upset about it. If he ever battles (which is rare) he normally loses. He doesn’t have any human friends because he likes pokemon too much. First Pokémon: Tentacruel. It was a gift from her mom before she disappeared. It was a tentacool at the time. Personality: Azure likes legendary pokemon. She would even put her pokemon, or life in danger just to see one. Her favorite legendary is Manaphy. Azure is the quiet type. She would rather watch than get involved, unless if she needs to help her team. If someone gains her trust, she will be loyal to them. She enjoys swimming. Her favorite types are water and ghost. History: Azure spent most of her time by herself. She lived with her father, who was a sailor. They didn’t get to talk to each other much. She spent most of her time researching legendary pokemon. Hearing about Team Trance, she decided to join them. She knew that a lot of evil groups usually tried to get involved with legendary pokemon. Partner Pokémon: Pidgeot (M). Summer met Pidgeot when she first started out as a Ranger. She had to stop a small forest fire before it spread, and the Pokémon helped her get water-types into the air to put out the fire from above. Pidgeot recognized her pure heart and decided to stay with Summer, even after she released him. Personality: Summer, like any Pokémon Ranger, is a kind and caring soul. She hates to see any Pokémon or human injured, and will do everything in her power to save a life, even if it means putting her own in danger. Summer dislikes strife, but is willing to fight for what she believes in and to help those around her. Summer bonds easily with Pokémon, which makes her a good Ranger, and quickly wins the trust of even troubled Pokémon. However, she herself is quick to trust, and is easily fooled by a skilled actor. Summer is heroic to a fault, and will waive aside her own needs and safety for those of others. She sometimes dives in headfirst before thinking when a life is on the line. She has a strong sense of curiosity. History: Summer’s father was a Pokémon Ranger, and sometimes when she was young, he would take her up to the headquarters and show her around. The Ranger Union fascinated her, and she was quickly well-known by everyone to wander off and get lost, but never be afraid. Once she was ten, Summer began her training as a Pokémon Ranger. She was clumsy with a styler and had difficulty capturing Pokémon successfully because she would always break the line before it looped completely around the Pokémon. Then one day after training, when Summer was around thirteen, she was walking in the forest when she noticed a thin stream of smoke rising out of the trees. Thinking it was a campfire, she followed it, as camping wasn’t allowed in this portion of the wood. Soon, however, she could see the flickering tongues of fire and Pokémon racing away in terror. A Pidgeot was perched in a tree nearby, preparing for flight, and Summer whipped out her styler, completing her first capture. After hopping onto the Pokémon’s back, she managed to catch a Marill and Shellos, then use the two Water-types to put out the fire. After that day, Summer had much less difficulty capturing Pokémon, and a partner to boot. At age fifteen, she became a fully-fledged Ranger and began performing missions across the Sinnoh region. Other: Summer is obsessed with chocolate and if she sees a chocolate dessert, she absolutely has to have it. She sets whatever she cooks on fire. First Pokémon: Elle was only a small girl, perhaps five or six, when she decided to climb a tree (for fun). It was a dangerous climb , but Elle was fast and wiry. As she was climbing the tree, she stumbled upon an abandoned baby Hoothoot crying out for its mother. The young Elle instantly took the Hoothoot back down the tree and into her home. The two grew up besides each other as good friends. Personality: Elle is adventurous and loves exploring. The primary goal of her life is to chase anything that she likes or is interested in, despite others’ thoughts or any consequences. She cannot resist taking a closer look at anything that seems interesting or exciting. At times, she can seem flippant or cold, since she doesn’t often care about others. She is easily bored, however, and, when she is bored, she is restless and easily annoyed. Usually, she doesn’t follow up on her threats or hunt down the people who have angered her, but she occasionally does so to show an example of why people should not cross her. She can be affectionate to her Pokemon, who she chooses because of sentiment and attachment, rather than skill. Elle is willing to bend the rules for her own needs. History: Elle always was the strange person in her normal, peace-loving, and rich family. They were all content with their lives in the small town of Cherrygrove, but she desired more. After catching her Staraptor with a Pokeball that she had found in a dusty cabinet in the corner of her house, the fourteen-year old Elle decided to leave her mundane life behind to start a more exciting one, starting with Violet City. She left only a note behind and took almost nothing with her. When she got to Violet City, she found lodging with her mother’s friend. Eventually, she grew impatient and left the city again, jumping from one home to another while catching more Pokemon. First Pokémon: Shayde was Ari’s first Pokémon, as an Eevee. Before Ari turned rogue and went to Team Trance, his parents gave her to him. He eventually evolved her into an Umbreon when he joined Team Trance. Personality: Ari is cold an distant, hardly showing any emotion at all, and when he does, which is rare and far between, it is difficult to spot. He is extremely loyal and repays any debt. 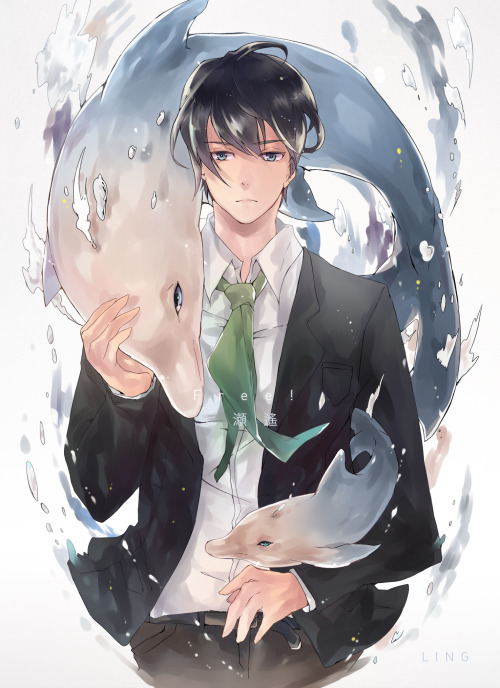 He doesn’t like to rely on other people, but knows when he is outclassed and is smart enough to get away quickly. The only person he will submit to is Jonine. History: When Ari was six, he got his first Pokémon, Eevee. He loved her very much and played with her all day every day, until he was eight and his mother fell ill. She was bedridden, and Ari would spend his day playing on the floor by her bed. Eventually, she died in front of him, chocking on her own saliva after she refused to go to the hospital and put the family into greater debt. His father died a few months later from grief. Ari never fully recovered from his their deaths, drifting away from everyone he was close to, including his best friend, Rume. As soon as whispers of Team Trance began to be passed around, Ari disappeared and joined their ranks. He had grown so distant and cold in the mountains of Snowpoint after his parents’ deaths that he no longer cared for anything or anyone anymore. Other: He is constantly carrying around and eating suckers. He will sometimes offer one to those whom earn his respect. First Pokémon: Lucario was Zero’s first Pokémon. One day when he was training in a clearing in the forest, a young Riolu came up to him and began practicing with him. Zero would come back and train each day, and the Riolu would come and train with him until finally the Pokémon followed him home and wouldn’t leave. Zero caught her and they have been by each other’s side ever since. Personality: Zero is a happy-go-lucky trainer that is almost always in a good mood. He tends to see the bright side of things and tries to keep those around him optimistic. He sometimes tries to crack jokes, but they usually aren’t very funny, and he’s no good when talking to girls. He tends to get embarrassed and escape into the nearest tree when confronted with anything feminine. Zero is a well-trained martial artist and as such always has an eye on the lookout for danger. It isn’t so much of a precaution as habit from being attacked repeatedly by his previous master. Zero is usually happy, but if you manage to make him mad, he won’t let you go until he burns himself out or feels justified. History: Zero grew up in the lush forest surrounding Fortree City, which was high in the air and hidden in the wooden giants. He learned to climb trees as nimbly as any Pachirisu, and has a light frame which allowed him to go out onto thinner branches than most boys his age. Eventually he started taking martial arts lessons from a local master, whom enjoyed jumping out at him when he least expected it and whacking him with wooden poles, so he was left with a constant paranoia. He trained enough to earn his black belt, and met Luca in the forest one day. When Zero was fourteen he moved to Sinnoh to learn from Maylene, who helped him not only train himself but Luca and his bond with him Pokémon. Luca evolved into a Lucario with Maylene’s help. To this day Zero will sometimes drop by and spar with her, and his Luca against her Lucario. Crush: None yet, but he’s bi. Other: He has an intense fear of wooden poles and is likely to smash one whenever he sees it. He is well-bonded with his Pokémon to the point where they can read each other’s movements. How They Met: Ten was wandering around after his amnesia (see History), when a kind, but lonely Reuniclus, sensing his distress and confusion, became interested in him. The next few days, it hung around him and didn't put up much of a fight when Ten caught him. In fact, they became fast friends. It formed a telepathic link with him, and they have never parted. Personality: Ten is often serious and is unfortunately somewhat socially inept. He focuses a lot on his education and duties, but he fails at making friends and being intentionally funny. He is mostly isolated and quiet, though he can be very loud and outspoken when he wants to. Though he generally tolerates others, he can become irritated at too much talking or noise, as well as long waiting. Ten usually sticks to the rules and tries to deal out fair justice. In some rare moments, he can be very sweet and/or affectionate. History: Though he’s from Castelia City, Ten moved to Jubilife when he was young. That's all he can remember, because he woke up on his thirteenth birthday, alone in a forest and with no memory of his past life. He decided to call himself Ten, after it took him exactly ten seconds to get up and become fully in control of himself. Eventually, he wandered to the nearest town and caught the attention of a Ranger. The Ranger introduced him to other Rangers, and he proved to be talented at using a styler. Other: He really likes cinnamon and apples, for some strange reason. First Pokemon: His Charmeleon, Xaevier. At the time of their meeting it was just a charmander, he had just gotten in a fight with his parents, and stumbled into him. The charmander was a bit..... Ruffled looking you could say. He had scratches all over him and just overall did not look happy. Cecil always had a pokeball on him, a gift from his late father, (more on that later) he decided to use it to catch and heal the charmander. Cecil named it Xaevier after the charmander decided to stay with him. Personality: Cecil is smart and outgoing. Goal oriented and also very..... Persistent. He will stop at almost nothing to achieve what he wants, even if it means putting himself in danger. However, if it comes to putting his own Pokemon in danger, he refuses. He's a "Do it my way or die" kind of person. He believes very strongly in the goals of Team Trance, and as a person with a bad case of insomnia he wishes for these goals to be completed. Even if it means for his own death in the end. At least he'll finally be able to sleep. History: Cecil was never able to sleep well, ever since he was a child. When he was small, he would always rudely awaken his patents in fits of loud and bursting cries. Sometimes, when he was old enough to speak, he would say he couldn't sleep because of the nightmares; or the shapes in his room that would move about in the darkness. That it had always been like that, and that he didn't want to sleep anymore. His parents dismissed him: sending him to a psychiatrist every several cycles if any get particularly bad. He learned to keep his mouth shut about it, and in the end grew accustomed to not sleeping most nights: if sleep came, then the nightmares along with it. Then, if possible, the nightmares grew worse after the passing of Cecil's father, a Pokemon trainer himself. After his mother remarried to an awful, and argumentative man, the nightmares became worse, sleep was impossible save for a few hours at a time. Cecil then became insanely addicted to the idea of... A permanent sleep. One that he could bring to the others who suffered like he did. In doing his research to help the world sleep at last, he found Team Trance. He joined automatically, keeping it a secret from his family and few friends he had. Shortly thereafter, he was caught sneaking out of the house by his stepfather. He yelled at them, they yelled back: he stormed out of the house with a backpack of needed possessions, and also with the treasured pokeball his father had given him. That's when he met Xaevier, his first, and by far favourite, Pokemon. (AND EVERYTHING CHANGED WHEN THE FIRE NATION ATTACKED) Cecil has been running with Team Trance officially ever since. He still manages to be as outgoing and sharp as he is despite his lack of sleep. Normally he takes the spare time he has by not sleeping and funnels it into the efforts of Team Trance. Other: He has a soft spot for music. Also he is bi. The injured Pikachu glared at Summer, blood dripping down its torn pelt, as electricity built up in its cheek pouches. Summer jumped to the side to avoid the attack and raised her arm, aiming carefully and releasing the capture disk. Blue light shimmered around the Pikachu as it tried to dodge from side to side, and the arcs closed, vanishing with a small burst of light as the Ranger's capture styler beeped electronically, "Capture Complete." The Pikachu looked up at Summer, the fear gone from its eyes, and allowed her to pick it up. "There. See? Nothing to be afraid of." She said soothingly, rubbing it behind the ears as she headed out of the Lost Woods Eterna Forest and to the nearest Pokemon Center, applying a potion as she walked. The Pikachu's wounds stopped bleeding, and it settled comfortably against her chest. Zero lounged on a bench outside of the PokeMart, his Pokemon around him. Luca sat beside him, munching quietly on a poffin, while Pikachu and Glaceon tumbled about on the ground at his feet, playing. Staravia was perched on the back of the bench, eyes closed and enjoying the sunlight on his feathers. Zero sighed happily, watching the clouds pass by overhead and looking for shapes in their fluffy white stillness. "So, guys, where do you wanna go next? We have three gyms badges so far. We could head for another gym or we could do something fun. Pikachu, do you want to see the flowers in Floraroma Town?" Pikachu and Glaceon stopped rolling around and jumped into his lap, the Electric-type standing up on her back feet and looking up at Zero with her huge, brown eyes. "Pika pi!" He chuckled and rubbed her ears. "Okay, we'll go there then." The sucker in Ari's mouth clicked against his teeth as he walked, hands in pockets, about his personal quarters. He was walking in slow circles, as he had no orders and had just finished his last book for the third time. He needed to find a book store to replenish his stock. Shayde yawned from his bed, where she was curled up on his pillow. Ari's other Pokemon were inside their Pokeballs at Ari's waist, but the Umbreon insisted on walking about freely. He sighed, sitting down on the edge of the bed and laying back, his pale blue eyes tracing the cracks in the ceiling. Shayde got up and licked his pale blonde hair out of his face before snuggling up next to his shoulder. Reuniclus was floating by Ten's shoulder as he walked towards the Ranger base. He looked at his partner pokemon, who then seemed to grin (if Reuniclus could grin) and cheerfully floated to the other shoulder. He gave a half-smile, the only way he really smiled. The Ranger base was near; he could see from his position. Reuniclus reached out and touched Ten's mind; he could feel a reassuring presence stroke his mind before vanishing. He wished he could relax in the moment, but he remembered his duty to the world. He then broke into a light jog, quickly reaching the Ranger base entrance. Jonine was surrounded by the musty smell of books in her quarters in the Team Trance headquaters in Jubilife City, where she spent the vast majority of her time when she wasn't occupied with being Somnus, the ominous leader of Team Trance. It was honestly the most relaxing part of her day, buried in ancient books and legends, searching for her ultimate goal, a legendary Pokemon, Darkrai. The legends told of such a beautiful fate, an eternal slumber for all humans. It was truly a paradise, free from worry, pain, stress, and responsibility. She sighed in contentment, flopping backwards onto her pillow in bliss. Then the video phone on her wall started ring, a piercing sound that ruined her dreams and her peace. She sighed, this time in annoyance, and quickly rose. She put on her white fox mask, a simple looking disguise that concealed a voice modifier. The voice that spoke out of the mask was clear as day and fully comprehensible, but still masked her identity and even her gender with it's mechanical tones. She then equipped her purple robes, disguising any indicatives of her true self, and went up to the phone. "Uh, King Somnus, sir," A nervous looking Grunt on the screen babbled into the phone, annoying her, but she remained silent. "Yeah, um, you said you wanted to call a meeting today about something, so uh, I wanted to make sure we were still doing that and stuff." She nodded once, quickly. Today's meeting would be between her and the members of Team Trance, and this grunt was charged with doing the task of gathering them together. "R-Right!" he said in a panic, then quick shouted in a microphone connected to the PA system. "WILL ALL TEAM TRANCE MEMBERS PLEASE REPORT TO THE MEETING HALL IN THE NEXT 15 MINUTES? LORD SOMNUS HAS SOME WORDS FOR US!" Jonine sighed from the screeching noise of feedback, but hung up without making a sound. She began her preparations for her speech, and started making her way to the meeting hall. Kye walked around the streets of Hearthome City. He had a somewhat-large bag of cherries in his left hand. Every once in awhile, he would take one of the red fruits and throw it in his mouth. A pink and yellow pokemon sat on his shoulder, a Cherrim in its sunshine form. The boy didn’t have anything else to do besides walking around the city. He wasn’t hungry enough to cook and there were no contests today. He sighed and sat down on a bench. The boy looked up at the sky, it was as clear as his blue hair. His pokemon hopped down onto the bench, “Cherrim, cherrim!” she tugged on the sleeve of his suit. “I-I like wearing it though! It reminds me of contests!” he moved his arm away from the Cherrim so she couldn’t reach Kye’s sleeve. “Petal, would you like a poffin?” he asked. The Petal’s eyes grew wider, “Cher! Cherrim! Cherrim!” she hopped up and down. If she was a human, she would have probably took Kye’s bag and ate all of them already. “Ok, ok.” he took out a sweet poffin, the Cherrim’s favorite, and handed it to her. The pokemon devoured it in a few seconds. The boy chuckled quietly. 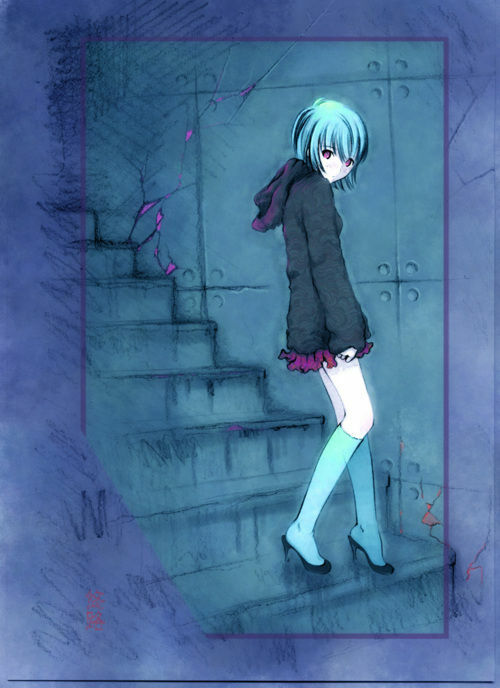 Azure strolled down the hall of the headquarters. She pulled out a small book about legendary pokemon from her bag, attempting to read it while walking. Every few steps she flipped the page. She read quicker than most people do, even while walking. She then heard the boom of the PA system, "WILL ALL TEAM TRANCE MEMBERS PLEASE REPORT TO THE MEETING HALL IN THE NEXT 15 MINUTES? LORD SOMNUS HAS SOME WORDS FOR US!" the girl was startled by the sudden noise, and the book dropped on the floor with a small thud. She grumbled, picked it up, and stuffed it back in her bag. Azure moved to the meeting room, walking quicker than a few minutes ago. She opened the doors large enough for her to slip in, then shut it again. The girl silently sat down in her chair, pulling the book from before out of her bag. She read silently, waiting for the meeting to start. Rume stretched, before returning to applying her sunscreen liberally over her exposed legs in preparation for the day's traveling. Finished, she returned the bottle to her bag and wiped what little remained off on her shorts before pulling her map out and opening it. With a tilt of her head she reaffirmed her traveling plans for the next few days. "Okay... so I'm gonna head through Route 205 to Eterna Forest, probs gonna have to spend the night there, more Route 205 the next day, and then spend the night in Floaroma..." She muttered softly. Tucking the map under her arm, she rose to her feet. She equipped her bag and grabbed the keys to the hotel room off the desk, and headed down to the lobby. "Did you have a pleasant night, Miss?" The employee at the desk asked as she approached. "Yeah, it wasn't bad." She answered absently, placing the keys on the desk, "Here's the keys to the room, uh, it was 106." He accepted the keys and Rume left hurriedly through the front doors, ready to get going. For a moment, she felt a bit sad about having to keep Larry in his pokeball, but it was better for him honestly. It was sweltering out already, and if it made him sick, she would be the one to blame. With that in mind, she made her way towards route 205. Cecil watched as Xaevier, his Charmeleon, walked around aimlessly in the hallways. He was absolutely bored to death. Nothing to do, no new goal to accomplish. Not even a decent book to read, as he needed to go an refresh his stock. He could tell Xaevier was bored as well, mainly because the short-tempered Pokémon was flicking his tail in annoyance at the lack of.... Lets just call it entertainment, with the involvement in fire and normally others. Cecil tapped on the wall slightly, just as Xaevier raced to his side. A grunt moved through the hallways just as Xaevier started to growl. The grunt flinched and increased his pace, making Cecil laugh and Xaevier's mood to lighten up slightly. "WILL ALL TEAM TRANCE MEMBERS PLEASE REPORT TO THE MEETING HALL IN THE NEXT 15 MINUTES? LORD SOMNUS HAS SOME WORDS FOR US!" The voice came from the PA system, and was insanely loud; Cecil rubbed his forehead in response and started to walk in the direction of the meeting hall. "Finally something interesting," He muttered. Kho walked behind Kainda, beaming up at her sister. She was bouncing slightly as ZuZu flew around them. "Sis!! What are we doing today!?" 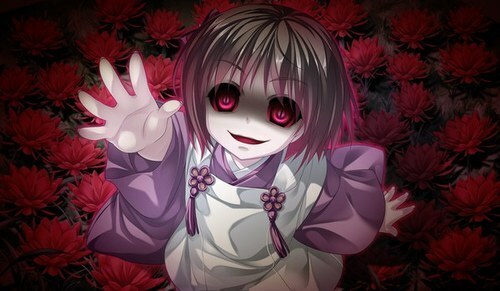 Her grin managed to grow wider, and in such a bit more unnerving, "Are we going to go play with somebody today?" ZuZu let out a cry at this, "See!!! ZuZu want to sis!!!!!!!!" She continued bouncing in place, her excitement boiling over. ZuZu stopped flying around, landing on Kho's shoulder. "If we scare somebody real good can we get ice cream too!?" Kho's eyes flashed slightly, her unnerving mostly permenant grin widening even more. She could see the people around them steering away as Kho and Kainda walked; but she didn't care. She had her sister and ZuZu, that's all that matters. Also she's totally freaking people out, that's another score for Kho! When the loudspeaker suddenly blared to life in Ari's room, Shayde Jumped to her feet, back arched and fur fluffed, and screeched at it, the blue rings on her body shining brightly. Ari sat up, his hair falling into his face again, and crunched on his sucker. Swallowing the fragments, he threw away the stick and unwrapped a fresh one, sticking it into his mouth. He rose, stuffed his feet into his shoes, and waited as Shayde calmed down and leaped onto his shoulder, wrapping her long, wispy tail around him protectively. The teen left his room, stuffed his hands into his pockets, and made his way to the assembly. As an Admin, he was expected to be there early. Summer reached Eterna City and struck up a jog, taking care not to jar the injured Pikachu she was carrying. She went straight to the Pokemon Center and, thanking Arceus that there wasn't a line, was able to speak to Nurse Joy right away. "Hey, Nurse Joy! This Pikachu was injured in a fight over territory. Can you fix it up?" She set the small yellow Pokemon on the counter and Nurse Joy picked it up, offering the Pokemon a sweet smile. "Of course! Please wait a moment and we'll be right back. She took Pikachu into the back room and was back a few minutes later, Pikachu's wounds completely healed. "Thank you, Ranger, for taking care of this Pikachu!" "Return, Staravia! You need to rest up after that flight." Zero placed the Pokeball on his belt and stood, Glaceon prancing at his heels and Pikachu jumping onto his head. "All right, time to go. There's something I want to see before we go to Floraroma Town." Luca had finished her poffin and got to her feet, looking as serious as always, until Pikachu leaped from Zero's head to hers and she broke into a grin. Zero laughed again and they began walking, Glaceon running forward and coming back, and Lucario steady at his side, with Pikachu perched atop her head, watching the people of Hearthome. First Pokémon: REM's best friend is a Bronzong named Gerdie, she met her as a Bronzor on a trip to Eterna City. When she trained Gerdie she wanted to be the best trainer in the world. Whenever she was going to lose she'd have her use Explosion, a draw's better than a loss right? That's actually why she's in Team Trance now. Gerdie has such bad PTSD from all the Explosions, that the only way she's able to relax is when she's asleep. Team Trance can keep her asleep 99% of the time. Personality: While she's still willing to do almost anything for success, her new goals revolve around Team Trance's success, and she won't allow her Pokemon to be hurt to accommodate that success. She's cocky, but she doesn't let her guard down as a result. She's been around the world and isn't surprised by much. History: Team Trance offers her everything she needs: care for Gerdy, a purpose, secrecy, and to be honest, fun. She's here because she needs something to do, and this is what she put her drive into. Crush: She only likes pans. Other: She wants to date a pan, she's pansexual. Murky remained silent on Kainda’s shoulder, giving a scary look to anyone staring at the two of them (or four of them, if you count the pokemon). The Murkrow knew that they both didn’t care about the people, he just didn’t want them to hurt either of them. “Scaring people is so fun!” the young girl exclaimed, and smirked a bit wider. Elle was wandering around when she saw two kids. They were strange kids, a bit creepy, but they were interesting. At the moment, she was extremely bored and restless, so a distraction was very well-accepted. She strode up to them and grinned. "Hello. Who are you?" Kye ate another cherry from the bag, it was beginning to empty fast. He frowned and whispers, "I need to buy another bag soon." The boy soon spotted a guy with a trio of pokemon. Kye looked at them in shock, "Those would be the perfect pokemon for contests..." he mumbled just loud enough for other people to hear. Kainda turned to the trainer who spoke to them, "Who am I?" she grinned very creepily, kind of like a serial killer who just murdered someone, "Why do you like to know?" the girl let out an innocent sounding giggle. Even though it sounded innocent, it was still terrifying. "Eh?" Zero asked, looking around, until he saw a boy with a Cherrim perched on his shoulder staring at him with an odd look in his eyes. "Did you say something about a contest? Actually, I've been meaning to see one of those . . ." Glaceon rubbed on his ankle, her tail flicking against his calf, and stared intently at the other boy with her shocking azure eyes. Pikachu tilted her head this way and that, her ears flopping about in curiosity, while Luca simply drilled her gaze into the boy's. Within half an hour of fast flying, Summer arrived in Sunyshore City. Pidgeot lighted down directly in front of the Ranger station, and Summer hopped down from his wide feathered back. "Thanks, buddy! Let's go see what's going on." The bird cooed softly and followed Summer through the sliding doors, feeling the air conditioning wash over them. Summer shivered slightly; she was used to be out in the warm sun. "O-oh, really!?" Kye said in shock, he wasn't expecting the guy to respond. "I've been entering contests for a while now and... never won any of them... Your team looks like one that would win a lot of them." the blue haired boy observed. Petal looked at the group curiously. She was hidden behind Kye a bit, because of her being a little shy. 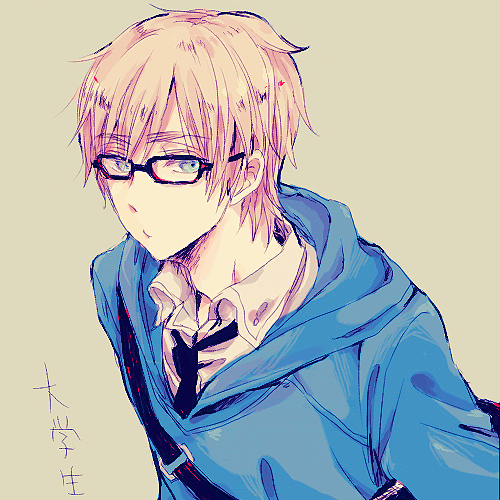 "Oh um, sorry if I'm being slightly creepy..." the boy apologized, he looked down at his own feet. Ten then entered the Ranger center. He liked it there; it was interesting to see all the different people who helped Pokemon and cared for them. It also was the place where he felt like he belonged, although he knew that he didn't really belong; he always stuck out from the rest of the interactive and positive Rangers. He eventually reached the top Ranger's room. "What did you call me for?"